As a hostess one of the things I have always enjoyed were handmade gifts. 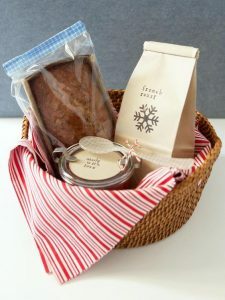 Some of my favorites to give and receive is handmade fudge, cookies, or maybe a good bottle of wine! Is your hostess a coffee lover? What better than a loaf of homemade banana bread with some flavored coffee! Or for the hostess that loves to spend time in the kitchen, how about some new towels, and new cooking utensils. 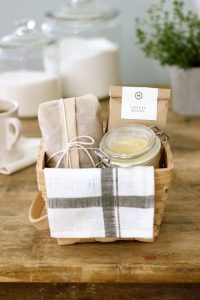 Can’t you just imagine to look on your hostess’ face when you put a little thought into a special gift for her!